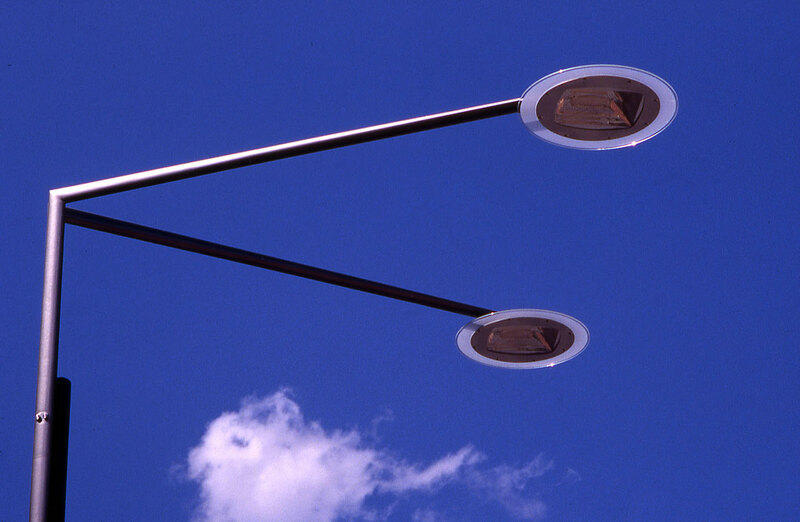 The lights of Anzac Parade required replacement as the original poles and luminaries could not be repaired. The original lighting concept had provided a dignified setting for Anzac Parade and an attractive night image likened to a “string of pearls” effect. 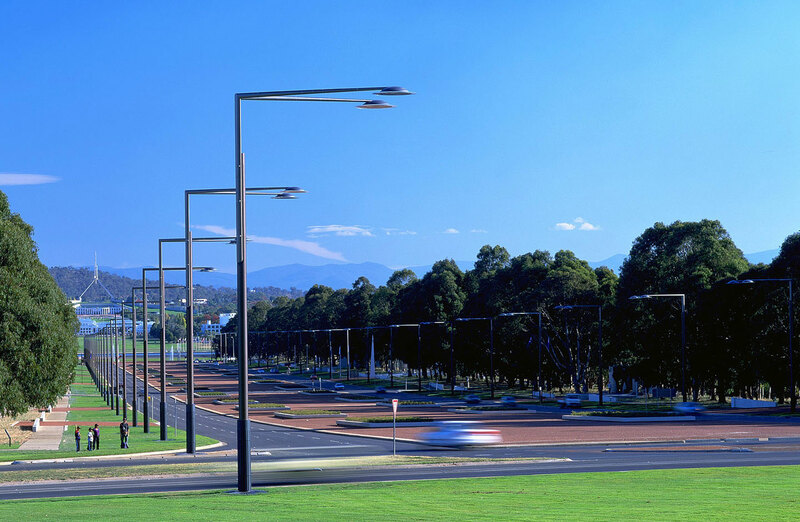 The new poles sought to maintain these characteristics as well as improve the amenity and visual quality of Anzac Parade. 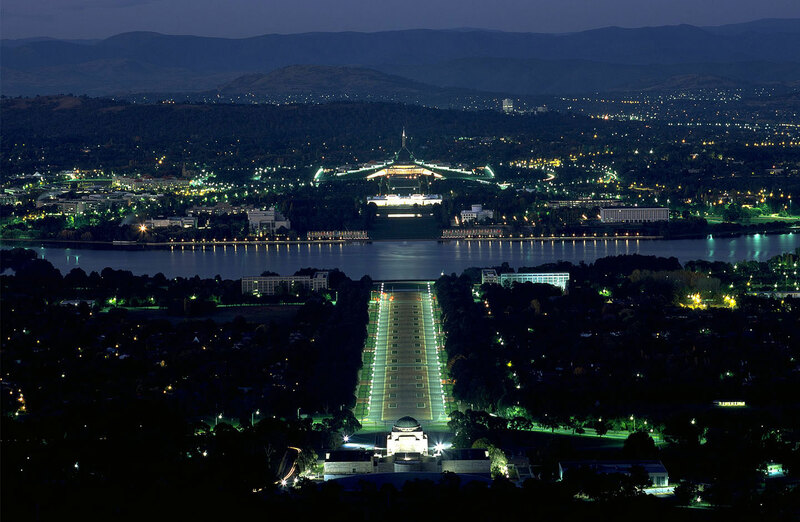 The concept for the night image was to create a sense that Anzac Parade was not only a spectacular ceremonial route but an “urban room” reinforcing the dramatic scale and proportions of the space. 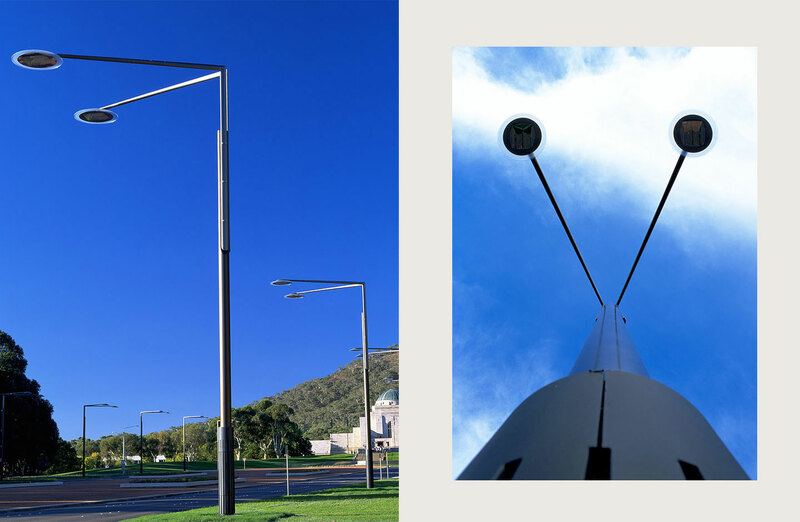 The design concept by day focused a pole design that was appropriate to the scale and dimension of Anzac Parade. 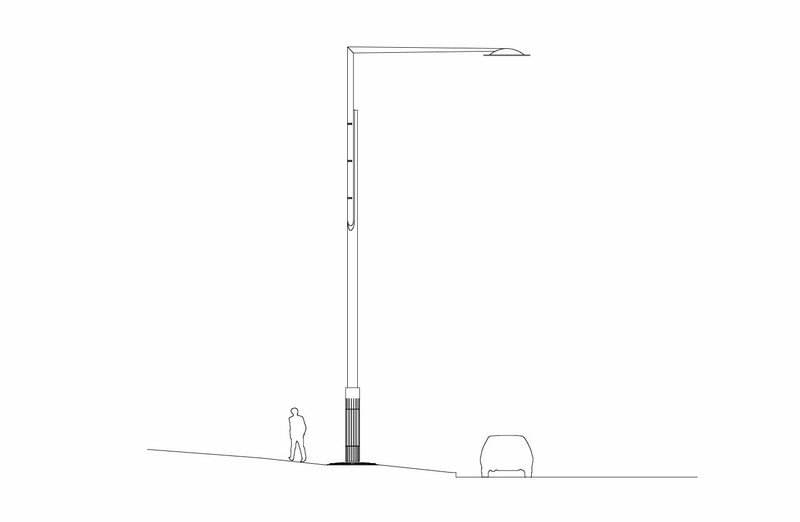 In addition, the elements of the pole were designed to respond to the pedestrian scale of usage reinforcing the Parade’s role as walking route of great interest. The design of the base embodies subtle military symbolism and the outreach arms dematerialise the structure to emphasise vertical proportions. 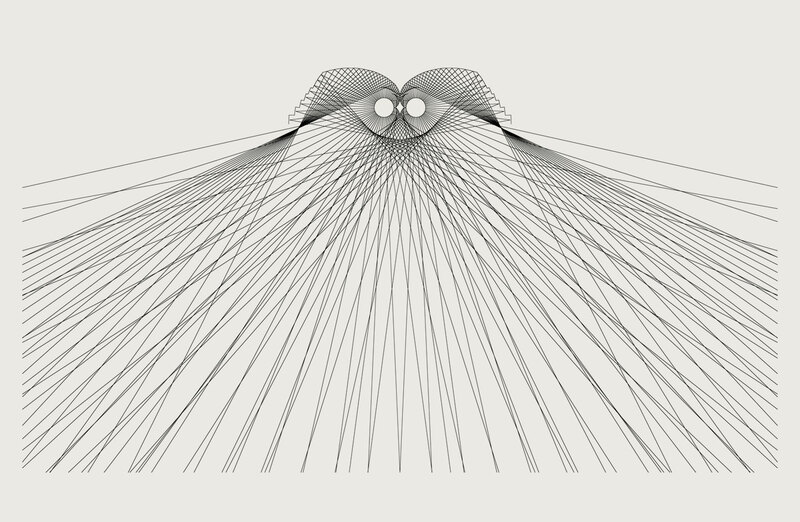 At night the catenary effects are spectacularly implemented for the first time in an exact geometry emphasising the unity of the space. The light spread is also even and consistent to create the concept of a room in addition to the linear characteristics of the space. 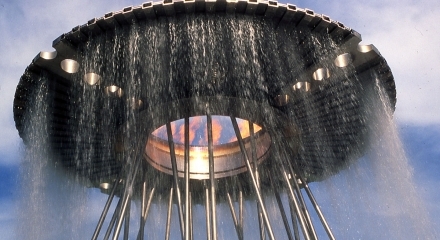 The additional LED lighting system produces a “halo effect” for ceremonial usage. 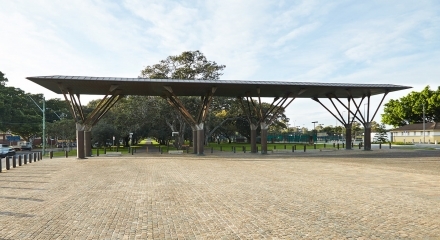 Future dimming technology completes a range of theatrical opportunities to reinforce the use of Anzac Parade as a major venue for events of National significance.